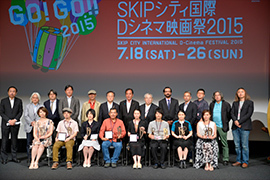 The 12th edition of the SKIP CITY INTERNATIONAL D-Cinema FESTIVAL 2015 was held over 9 days from Saturday, July 18, to Sunday, July 26. 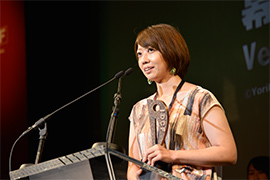 It featured not only competition sections as the festival's centerpiece but also related screenings and many events to attract visitors. 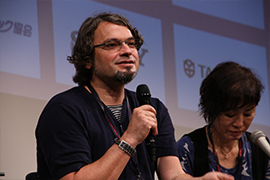 The opening film was “Children of Iron” directed by Koki Fukuyama, who was twice nominated in the short film competition, about one family living in Kawaguchi City. 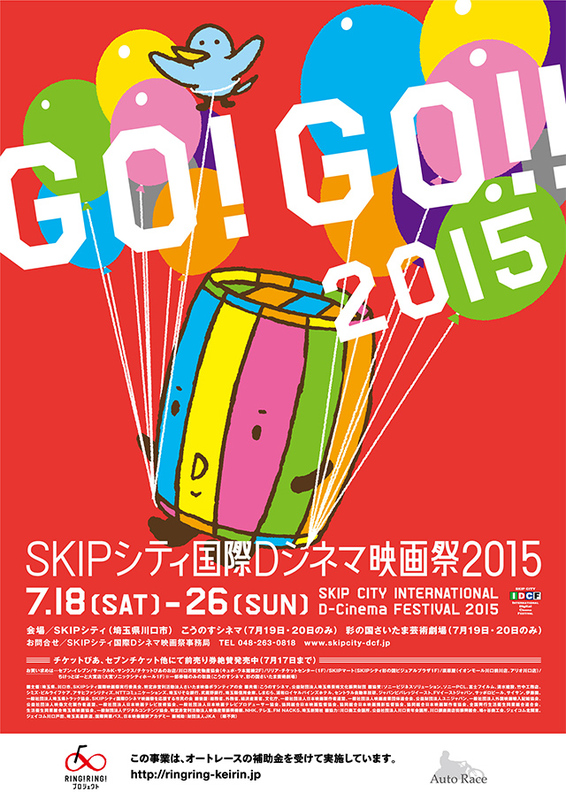 SKIP CITY INTERNATIONAL D-Cinema FESTIVAL Committee produced the film. Director Koki Fukuyama as well as cast members Tomoko Tabata, Jyonmyon Pe, Sugi-chan, Taishi Sato and Mau attended the opening gala screening and greeted the audience. For our competition, we received a total of 684 entries including 469 feature films, 134 short films, and 81 animations from 74 different countries and regions. From these, 12 feature-length, 12 short-length and 14 animation films were screened, with each film being screened twice. 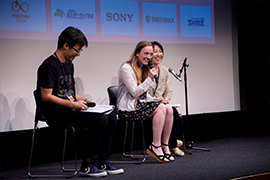 Many guests including directors, producers and cast members from around the world attended the festival and took part in Q&A sessions with the audiences. 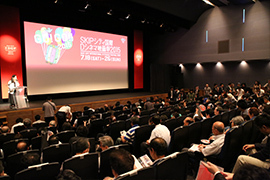 This year’s festival expanded the satellite venues to two; Kounosu Cinema in Kounosu City and Saitama Art Theater in Saitama City, for the audience to enjoy further. All 12 short films were screened in both venues on Saturday, November 19, and Sunday, November 20. The ever-popular annual Cinema Kabuki screening was a double-feature “Ninin Fuji Musume / Nihon Furisode Hajime” which was shown at the Kabukiza as the special opening engagement. The Japanese-dubbed "Godzilla" was screened as a barrier free screening with subtitles and hearing guides for the hard-of-hearing and those with low vision. The 7th day, Friday, July 24, was named as “Anime Day”, many screenings and events of related-animations were held. 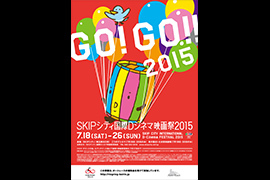 The screenings including “Crayon Shin Chan: Bravo! Samurai Battle” and “Stand by Me Doraemon” attracted audiences from a wide age range. There were many events like Director Keiichi Hara’s talk after the screening of “Crayon Shin Chan: Bravo! Samurai Battle” and the talk with voice actresses Satomi Akesaka and Rumi Okubo after the 10 episode screening of “Urawa no Usagi-chan” which is a TV series set in the Urawa area of Saitama City. We also organized many other related events. In Kobaton the Movie, which introduces attractions of Saitama in films, two new films “Kobaton: Outcast and the Tycoon in Tumulus” directed by Takashi Iitsuka and “Paper TORAKO” directed by Yusuke Murakami were screened. 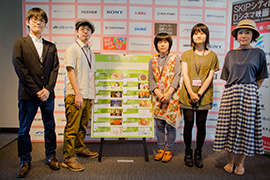 In "Camera Crayon", three films produced by Kawaguchi Kids Movie Club were screened. 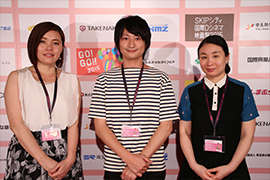 The screening of “4 Stories with a Cat”, which is the third film from the “Go-all” project directed by emerging filmmakers based in SKIP City Sai-no-kuni Visual Plaza, was also held. 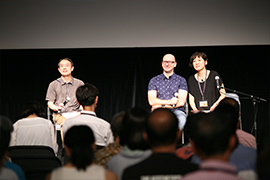 The closing ceremony was held on the last day of the festival, Sunday, July 26. 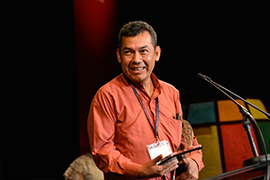 The Cuban film "Behavior" directed by Ernesto Daranas Serrano received the Grand Prize in the feature length competition. The film vividly depicts the ties between a teacher and her students. 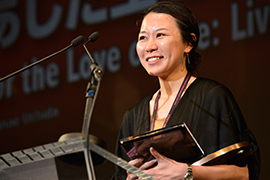 "I’m an Artist" directed by Raita Yabushita and “The Story That Might be a Dream” directed by Miryan Paku received the Best Picture in the short length competition and in the animation competition respectively. The 2015 edition concluded with great success with the record visitor number of 54,810 and the future editions will be held as gateway to further success of young filmmakers into the world and as a festival for spreading the joyful experience of cinema to the audience. ※Titles used above were true at the time.